Visiting the remote continent of Antarctica is rather like going to another planet, so removed do you feel from the world that you know. This is a true wilderness, and you will gasp at the incredible scenery, the magical ice forms which defy description; you'll be captivated by the seething wildlife, the penguins, the great sea mammals, the prehistoric looking birds; and you'll learn about the extraordinary feats of those explorers of the heroic age, who first visited these lands over one hundred years ago. 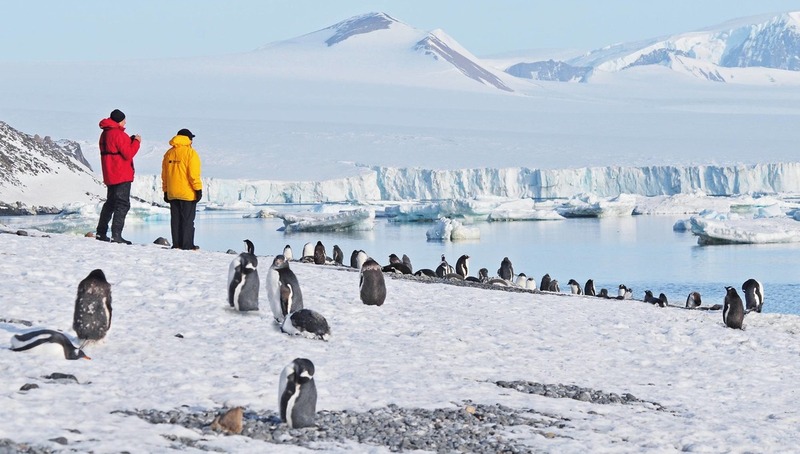 The Antarctic cruise season runs throughout the southern hemisphere's summer between November and March, though what you will see can vary widely. If you want to see pristine snowy landscapes then you need to visit between November and mid-December, before the summer thaw has truly taken effect. 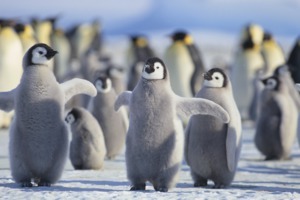 Later in December and through January, you will see penguin chicks and also seal pups in South Georgia. February and March are the best months to spot a wide variety of whales. As for weather - totally unpredictable. You may enjoy glorious sunshine, or be beaten back by driving snow. But even if the day dawns bleak, it can change totally in the course of a couple of hours. As long as you are dressed properly, the experience will be memorable whatever the weather. 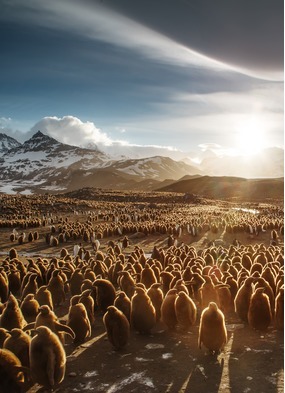 The most frequent access to the 'White Continent' is via Ushuaia, at the southernmost tip of South America. 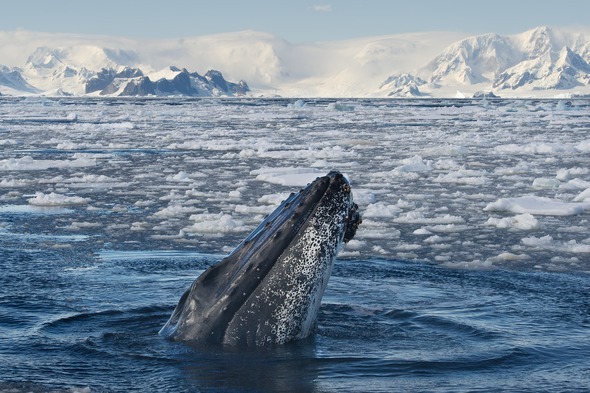 From here, you might take a 10-day itinerary straight across the Drake Passage to the Antarctic Peninsula, giving you four or five days of exploration. There is a strong argument for taking a longer itinerary (usually around 18 days) that incorporates the Falkland Islands, South Georgia and the South Sandwich Islands. 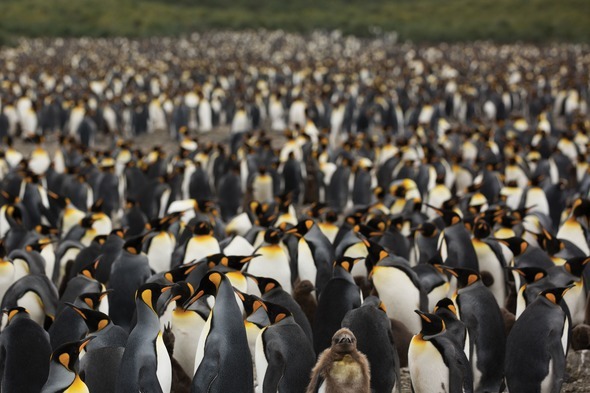 South Georgia is a must for many people; not just because of the large colony of king penguins to be found here, but also for its extraordinary history. 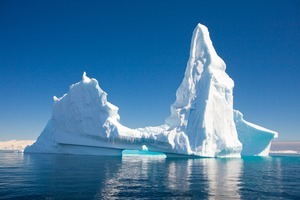 The continent can also be reached from New Zealand travelling across the Southern Ocean to the Ross Ice Shelf, where landings are more opportunistic, although these itineraries are far less frequent, are longer, and involve more days at sea. If you are lucky, you will get to see huts from the early expeditions. Scott's hut has fewer visitors each year than the summit of Mount Everest! 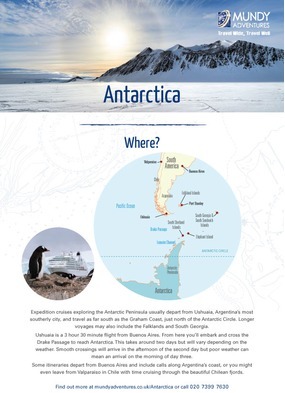 For the very adventurous - and this often appeals to people who have already made their first visit to Antarctica - there are occasional circumnavigations or semi-circumnavigations of the entire continent. 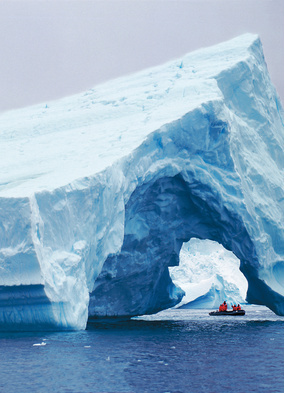 If your cruise is an Antarctic Peninsula itinerary from Ushuaia, your key gateway is Buenos Aires. From there the cruise operator often charters a flight to Ushuaia, but there is also a scheduled service. 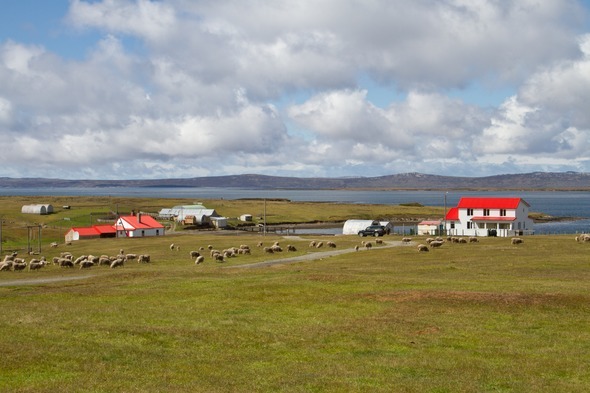 Occasionally you will find an itinerary which begins in the Falkland Islands, and these are usually reached on a charter flight from Santiago de Chile. If you are taking a Southern Ocean cruise, your gateway will be Auckland, Christchurch or Wellington in New Zealand. 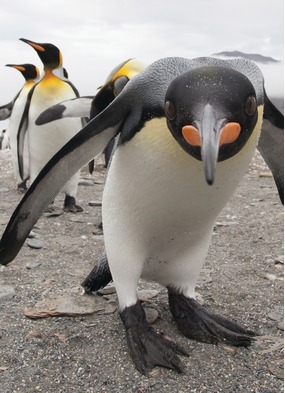 Penguins are the biggest draw, with species including gentoo, Adélie, king, macaroni, emperor and chinstrap. 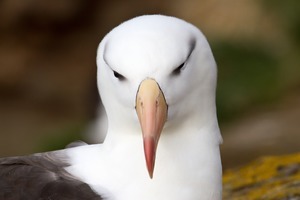 Other bird species you can expect to see include albatrosses, petrels and skuas. Below the waves lurk cetaceans including fin, humpback, minke, sperm and killer whales, and you may even spot blue whales. Fur seals, leopard seal and sea lions are a common sight. The flight to Buenos Aires is long, so we'd recommend taking some time to relax on arrival in preparation for your trip. Buenos Aires is a fantastic city, and you should definitely schedule some days to explore. If you are not sure when you'll be back in this part of the world, a side trip to Iguazu to see the falls is an absolute must. 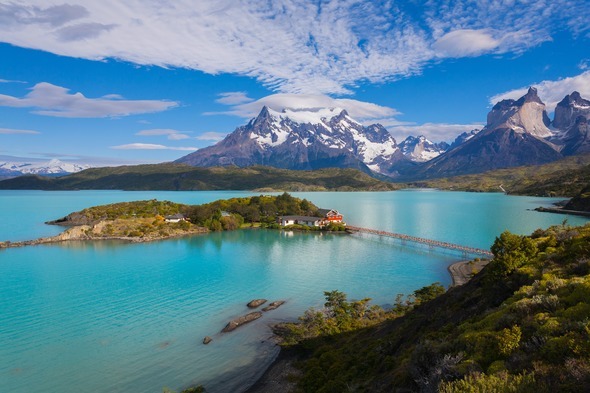 At Mundy, we can arrange for you to travel further still - to the Brazilian Pantanal for example, or up to the lake district at Bariloche in the Andes, or maybe some touring in Patagonia. 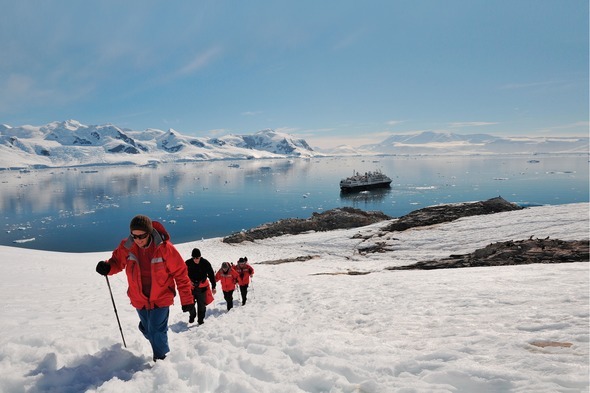 Hurtigruten offer the opportunity for 10 lucky people to camp on the Antarctic Peninsula itself, a truly unique experience. 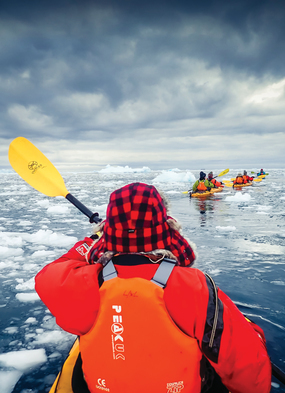 Lindblad Expeditions carry cool toys such as kayaks, and undersea divers and ROVs send live footage back to the ship for passengers to watch on screen. New entrant to the market Scenic Eclipse makes her debut in 2019, with extras including an onboard helcopter and submarine. 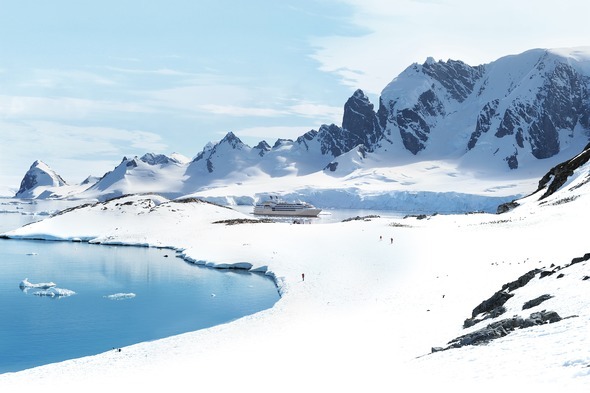 Silversea Expeditions don't compromise on board, and their exceptional value means that everything, even your drinks bill, is included in the fare. Ponant have an extraordinary dynamic positioning system which means they don't need to put down an anchor, and their 'green ship' awards reflect the low impact of these vessels on the environment. Fares are all high, but different - so in short, you need to speak to an expert who can help you work out what is important to you, and what is not, in order to make the right choice. For honest and impartial advice, give Mundy Adventures a call today on 020 7399 7630 and speak to one of our friendly team. 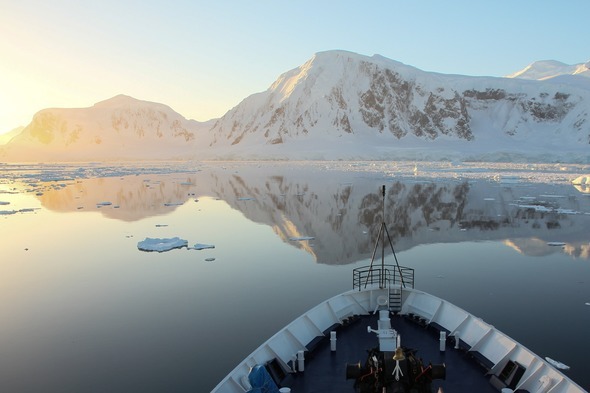 Our expedition cruising guide to Antarctica will tell you everything you need to know, including when to visit, what to see and how to get there. Keep up with the latest adventure news by signing up to our email newsletter.